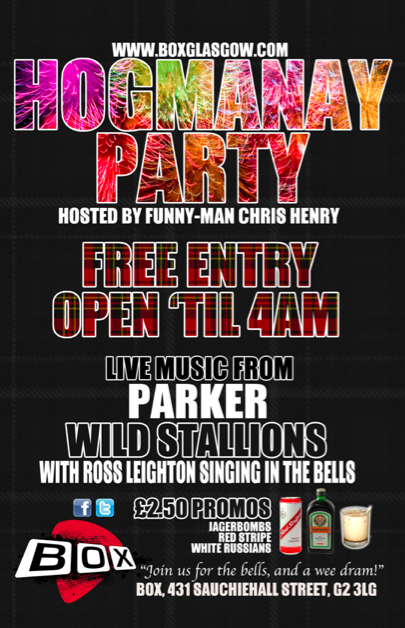 Join us for the bells and a wee dram this Hogmanay! Its free to get in and we have loads of cool stuff on including Parker, The Wild Stallions and Mr Ross Leighton of Fatherson singing in the bells! Its completely free to get in and no tickets needed! Its sure to be a great night!